With over twenty-five years experience in the development and processing of specialist materials, NEL Technologies have developed Neltex®, a patented fabric-based circuit technology which allows the creation of electronic circuits and assemblies in a true textile solution. 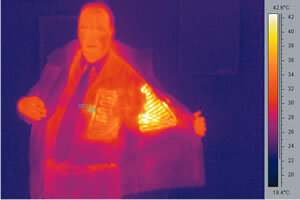 The resulting fabric circuits can be incorporated into garments using conventional textile joining techniques, e.g. sewing, lamination, fasteners etc. 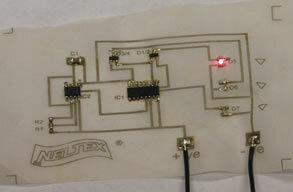 Neltex® turns conventional fabrics into printed circuit boards, sensors, switches and heaters for use in consumer electronics, communications, wearables, healthcare and the military. Route to market is to licence the intellectual property rights, know-how and product manufacture. The company is currently seeking strategic partnerships in several industry sectors.